Curaizon™ was founded with the knowledge that helping patients take their medication properly can save lives and reduce healthcare costs. We developed CuraServe™ to help patients manage their medications and thereby improve their health outcomes and advance medical research. Curaizon™ is headquartered in the UK with offices throughout Europe. According to a report published by the World Health Organization, only about 50% of people in developed countries take their medications properly. Drug non-adherence accounts for over 50% of visits to a doctor, 40% of long term care admissions and more than 50% of hospital readmissions. Worldwide drug non-adherence results in approximately $700 billion in additional healthcare costs and the cost of treating a patient with low adherence is twice that of patient with high adherence. The cost of treating a patient with low adherence is twice that of patient with high adherence. CuraServe™ is deployed by national health services to their patients and helps ensure that medications are taken correctly. Our comprehensive set of patient notifications and reminders, combined with an integration into the existing systems help us save lives while lowering healthcare costs. 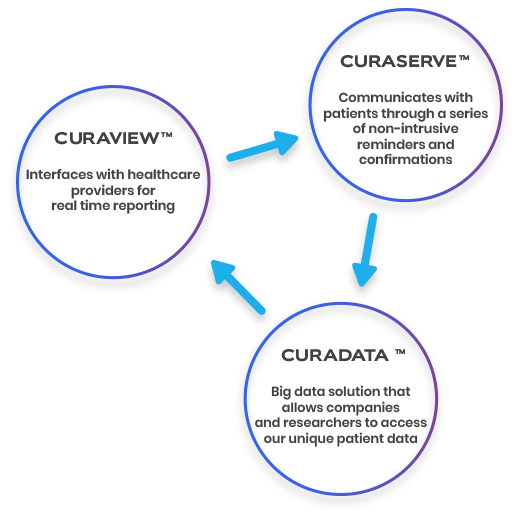 CuraServe™ also incorporates a big-data driven solution using anonymized patient data to advance medical research. Curaizon™ is a UK-based company that has developed CuraServe™, a solution to improve drug adherence and bring game-changing benefits to patients and healthcare providers. Our solution works with patients, their families and healthcare professionals to ensure that patients take their medications as prescribed through a series of outreach tools, supported by predictive modelling tools and behavioural analysis, to increase the rate of drug adherence. 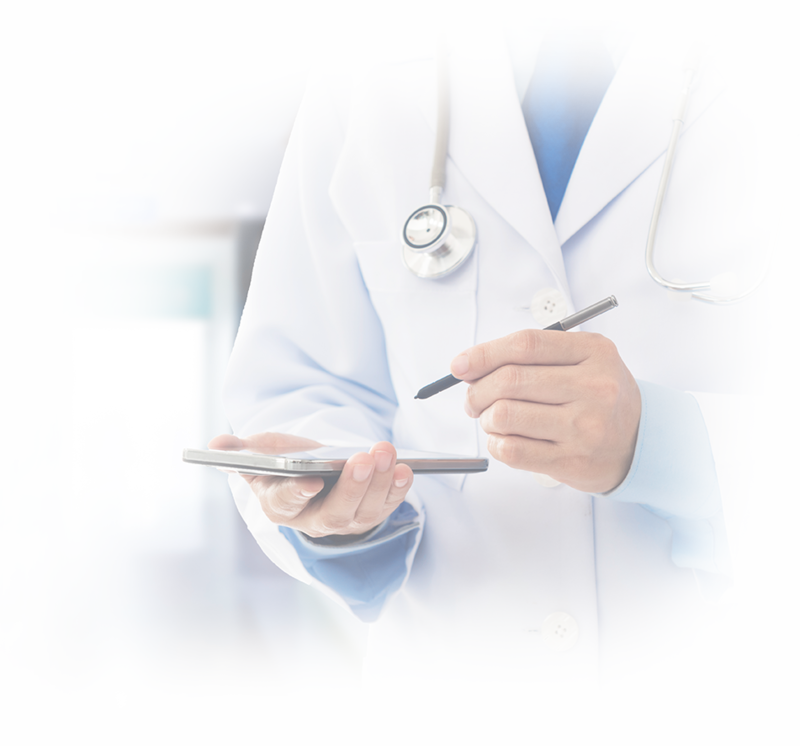 Curaizon™ uses the most practical, economically viable and fastest means of communication in order to secure high levels of adherence to prescriptions, avoid preventable hospitalizations and gather valuable data. Our CuraServe™ technology helps ensure that patients take their medicines as prescribed by their doctor. By doing this, we help patients live longer and healthier lives. We also reduce the healthcare costs that occur when patients fail to take their medications properly. Our CuraServe™ solution is deployed by national health services around the world. Our end users are the health service's patients who take any form of medication. We also work with academia, pharmaceutical and biotech industries, as well as other users of data via our CuraData™ platform. Curaizon targets countries with national health services. This currently includes 1.4 Billion people and that number is growing. What are the potentials of the market? The healthcare analytics market is expected to reach $24.55 billion by 2021 from $7.39 billion in 2016, representing an annual growth rate of 27.1% . CuraData™ is at the forefront of this paradigm and, through the democratization of our data, we can deliver benefits for every stakeholder. Our primary objectives are to reduce cost and save lives. Copyright © 2018, Curaizon Ltd.